Everything you ever wanted to know but were afraid to ask. For the last seventeen years I have hated conversations with board members around economic capital. It is perfectly acceptable to discuss Market risk, Credit risk or interest rates mismatch in isolation but the minute you start talking about the Enterprise, you enter a minefield. The biggest hole in that ground is produced by correlations. The smartest board members know exactly which buttons to press to shoot your model down. They don’t do it out of malice but they won’t buy anything they can’t accept, reproduce or believe. Attempt to explain Copulas or the stability of historical correlations in the future and your board presentation will head south. Don’t take my word for it. Try it next time. It is not a reflection on the board, it is a simple manifestation of the disconnect that exist today between the real world of Enterprise risk and applied statistical modeling. And when it comes to banking regulation and economic capital for banking industry, the disconnect is only growing larger. Frustrated with our ineptitude with the state of modeling in this space three years ago we started working on an alternate model for economic capital. 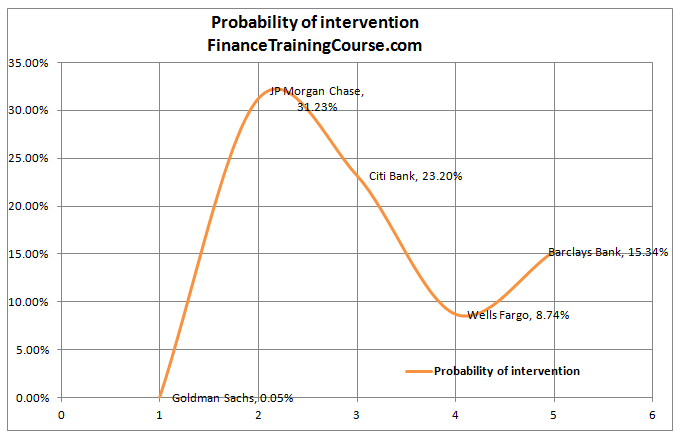 The key trigger was the shift to shortfall and probability of ruin models in bank regulation as well as Taleb’s assertions in the area of how risk results should be presented to ensure informed decision making. 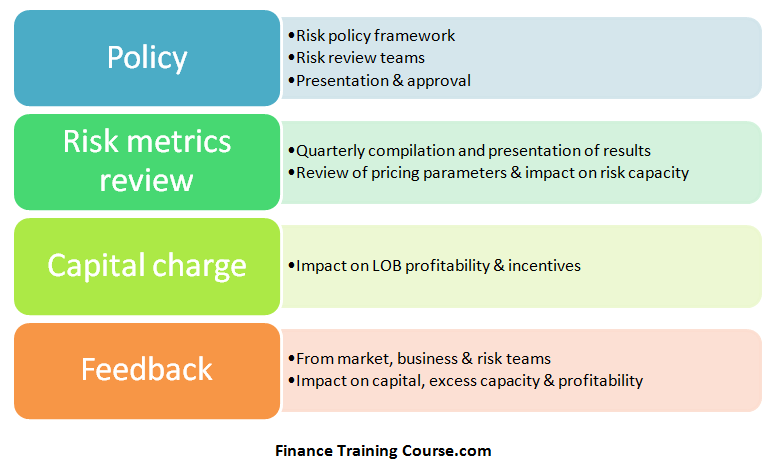 While the proposed model was a simple extension of the same principles on which value at risk is based, we felt that some of our tweaks and hacks delivered on our end objective – meaningful, credible conversations with the board around economic capital estimates. The plus point with this approach is that it ensures that Economic Capital requirements will always exceed regulatory capital requirements. It removes the possibility of arbitrage that occurs when this condition doesn’t hold. The downside is the estimation of dependence between business lines. The variations that we proposed short circuited the correlation debate. It also recommended using accounting data, data that the board had already reconciled and sign off on. Without further ado, there is the series that presents our alternate model for estimating economic capital for banking industry Discuss, dissect, modify, suggest. We would love to hear your feedback. 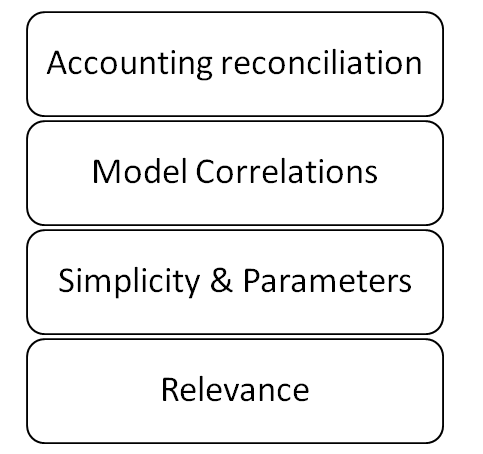 Can we use the accounting data series and skip copulas and correlation modeling for business lines altogether? Take a look to find the answer. 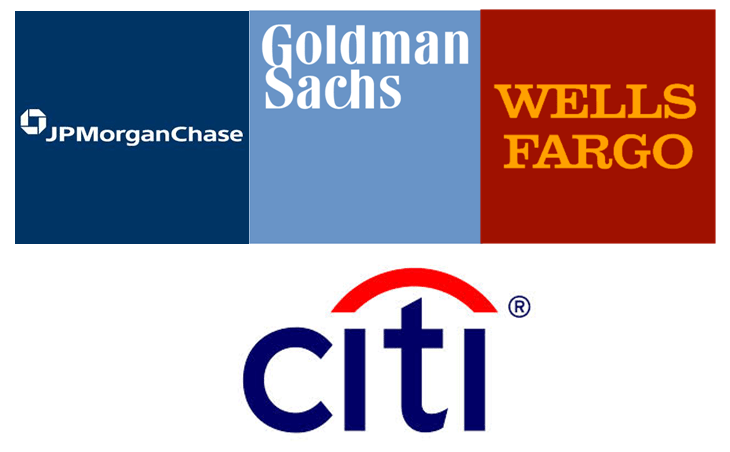 We use publicly available data from Goldman Sachs, JP Morgan Chase, Citibank, Wells Fargo & Barclays Bank from the years 2002 to 2014 to calculate economic capital buffers in place at these 5 banks. Three different approaches are used. Two centered around Capital Adequacy. 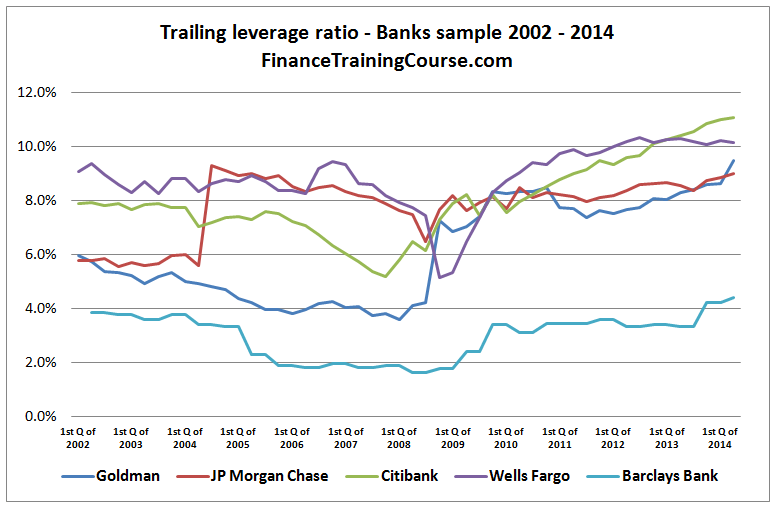 One using the regulatory Tier 1 leverage ratio. Why does accounting data work? What is the business case for using accounting data for economic capital estimation? How does the modeling work. Welcome to the variance covariance model for economic capital estimation. The results will surprise you. Presenting model two. 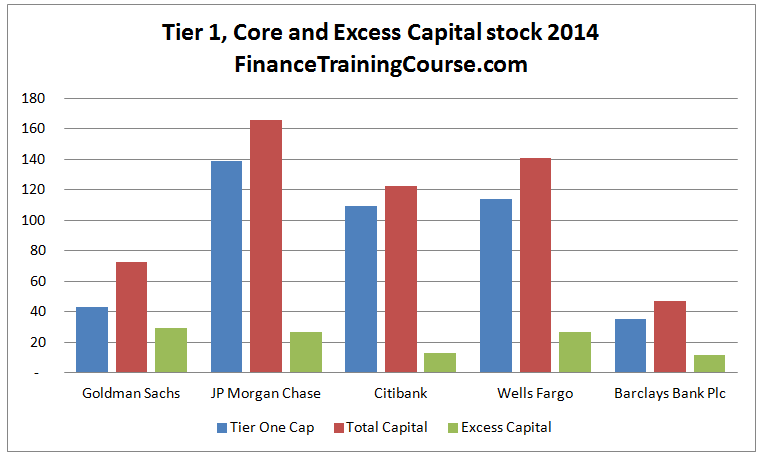 We figured it was time that we moved from capital adequacy to leverage ratios. Introducing model three. Let’s consider a simple but powerful tool to capture and manage your risks – the Risk Register. What is it? What should it include? What tools may be used to create the register? When should risk information be added? Probability Risk Rating. Probability is the likelihood of risk occurring. Consider using a scale of 1 to 10, 10 being the highest. Risk Score. Risk score is calculated by multiplying probability x impact. If the probability is 8 and the impact is 5, the risk score is 40. The risk management processes include: 1) plan risk management, 2) identify risks, 3) evaluate/assess risks, 4) plan risk responses, and 5) monitor and control risks. The initial risk information is entered when identifying risks in the planning process. For example, PMs may capture initial risks while developing the Communications Plan or the project schedule. The initial risk information may include the risks, causes, triggers, categories, potential risk owners, and potential risk responses. Lastly, review and update your risks during your team meetings (i.e., monitoring and control). Add emerging risks. Other reasons for updating the risk register include change requests, project re-planning, or project recovery. OVER THE PAST YEAR THERE HAS BEEN lots of publicity about cyber security risk. Data breaches and NSA surveillance may be top of mind, but a host of emerging risks show concerning signs and interaction possibilities. In the 7th survey of emerging risks, a group of risk managers shared their thoughts about current and future risks. Trending up are risks sur- rounding greater regulatory focus and cyber security, with oil price shock trending down as supplies have picked up. Emerging risks look across longer time horizons, 10 years or more, and for outliers that would create disruption to business as usual. An earthquake in Los Angeles or a hurricane in Miami could be a horrific event for those living through it, but historical data shows the likelihood of such events to be high when viewed across centuries or millennium. Emerging risks look at events like plague or space weather that tend not to be considered when making business decisions. These risks evolve over many years, so one would expect stability in risks considered. Over five years have passed since Bear Stearns and Lehman Brothers ceased to be independent. While many risk managers are concerned about the calm in today’s markets, the truth is that they have more time to think about risks that might not impact them for 10 years than they did in 2009. This shows up in trend data and the concentration of risk combinations. In the year since the previous survey, equity markets and oil prices continued their trend upward, while the dollar reversed course and strengthened versus the Euro. Here are the top six responses, when asked for the top five emerging risks (percentages based on number of surveys). This represents shifting pattern away from geopolitical and economic categories and toward technological, societal and environmental. Here are the top five choices from a year ago. What’s the job of a CEO? When you come down to it, a CEO’s job is to make decisions. The right decisions. Knowing your CEO’s priorities is key to communicating effectively. Many business leaders climb the corporate ladder using a path that requires more “fast, heuristic-based” thinking than “technical, algorithmic analysis.” That’s not necessarily a bad thing! Business schools teach you to define key metrics and then find solutions that optimize those metrics seeking to maximize expected value. But executives more often prefer to maximize likely profits from among possibilities with acceptable downside potential. This approach works well for executives who must make decisions quickly—especially when not all of the variables can readily be quantified. So it’s no surprise that many CEOs make use of it. The point of communication isn’t to speak. It’s to be heard and understood— to have influence and motivate action.Effective communication requires knowing what information you want to convey and what action you want to motivate, but that’s not enough. You must also know your audience—in this case CEOs—well enough to determine what factors will truly resonate and motivate them to take the desired action based on your information. It’s a good idea, for example, to have a sense of the CEO’s thinking style, decision process and risk attitude. Change is always seen as potentially painful and dangerous. When the company is in a truly painful spot, you may be able to get the CEO to take a different approach…but even then, flexibility in your communication style is much more likely to be effective. Remember: the CEO’s job isn’t just to make decisions—it’s to make the right decisions. So any information you bring to your CEO must be communicated in a useful format, so that he or she can chart the right course for the company.